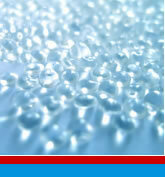 FERROCLING PW 60 is a concentrate of high molecular weight Polyisobutylene tackifler in Linear Low Density Polyethylene. 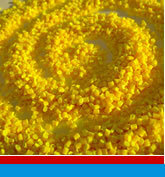 It is used as a cling agent to make stretchwrap films from LLDPE or LDPE. FERROCLING PW 60 is designed to produce stretch film from LLDPE, LDPE or other polyolefins for the applications of palletwrap, silagewrap and foodwrap. It can be used in both blown or cast film process. Polymers used with FERROCLING PW 60 must not contain any slip or antiblock additives or have a density higher than 0.923 as this will prevent the migration of the cling additive. Migration time for good cling properties ís 24-72 hours. For monolayer blown films 8 % FERROCLING PW 60 by weight should be added to LLDPE (or resin mix). 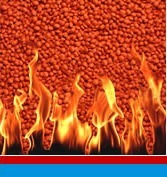 For monolayer cast films 3 and 4 % FERROCLING PW 60. On multilayer film lines, FERROCLING PW 60 is often added to the skin layers only. Addition rate depends on which layer is used and the layer thickness. Polyisobutylene is allowed by the FDA for use in contact with food (21 CFR 117,1430) and also meets the requirements of EC Directive 90/128/EEC. Product is packed in 25 kg PE bags on 1375 kg shirinkwrapped pallets. Store in cool place (less than 30°C) out of direct sunlight and not under heavy loads. Shelf life 9 months minimum. Ferrocling PW 60 è un concentrato di poliisobutilene per film polielitene autocollante.